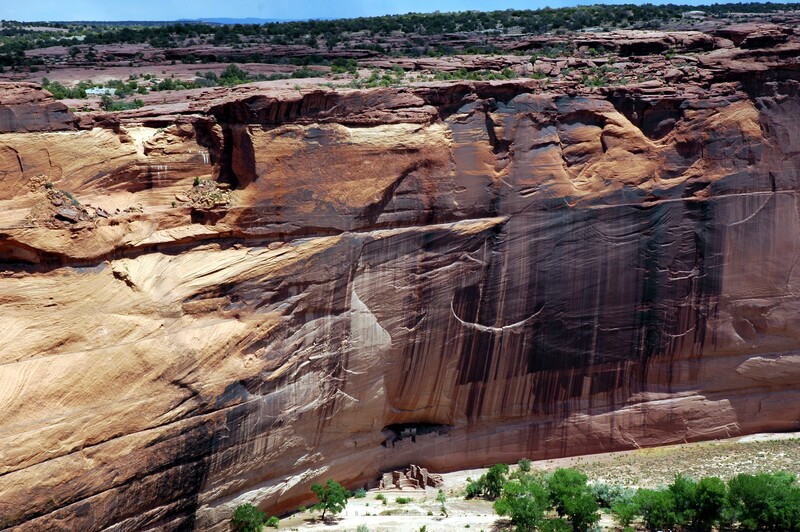 Canyon de Chelly is located in an enclave run by the National Park Service. 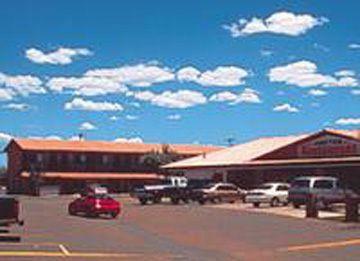 It lies in the middle of the vast Navajo reservation. 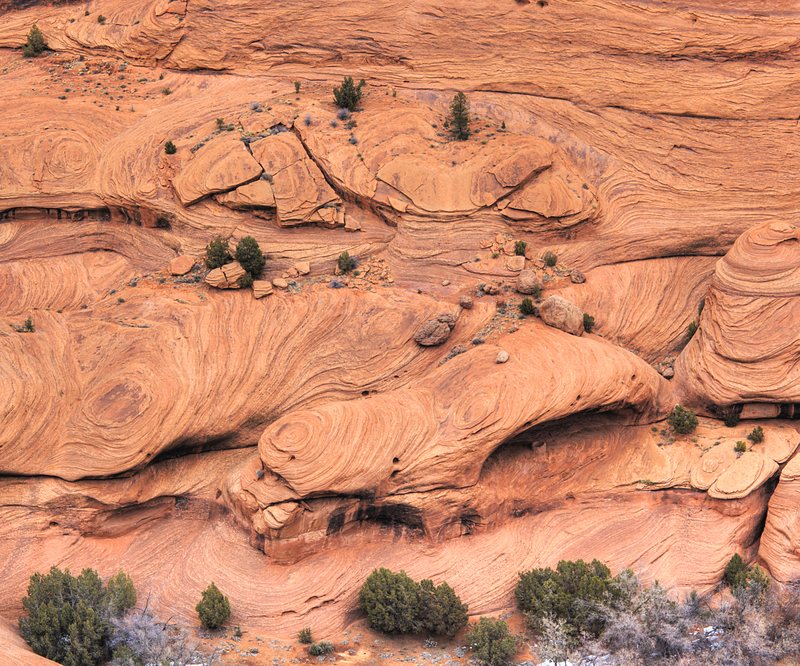 The height of the cliffs is up to 984 feet and is shaped like a Y having two canyons. 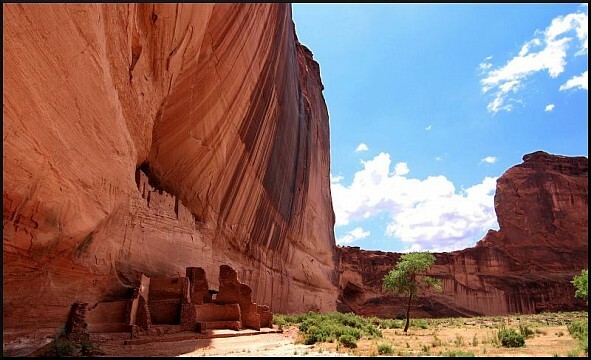 In the North lies the Canyon del Muerto, and in the South lies the famous Canyon de Chelly that stretches over 25 miles Both depart from the Chinle canyon on the west side. 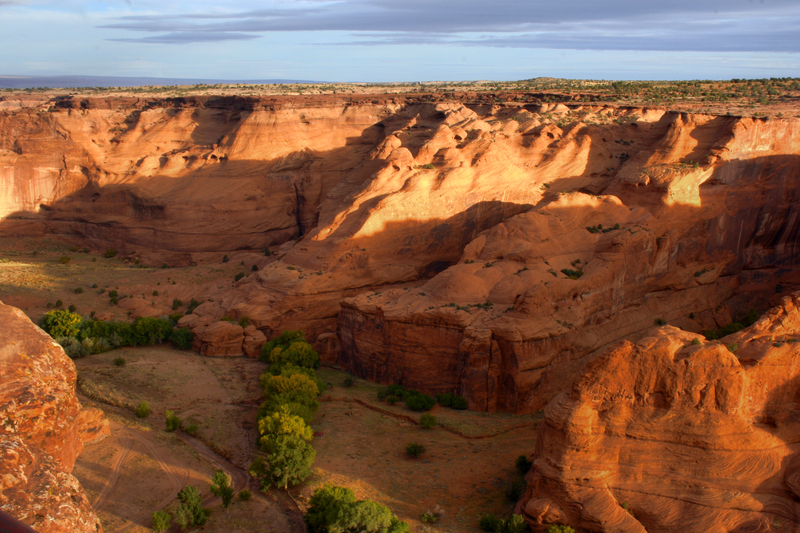 For the past 5,000 years, the canyon has been inhabited by several nations, including Pueblo, Hopi, and Navajo. 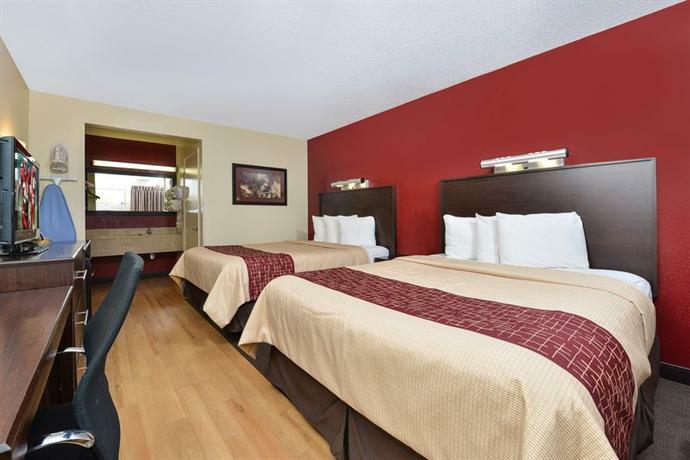 To visit the old villages carved in red stone, you must purchase a license and be a member of an organized tour. The largest of the villages is the Mummy Cave, located 295 feet above the canyon floor where 70 rooms are divided into two alcoves. The Mummy Cave is visible from the observatory at the North of the park. Another town of interest is the one called the White House. It is not necessary to have a permit to go visit it, but you can enter it at your risk on the reservation. Those who wish to only see the canyon from the air can do so without any constraints, staying on the territory of the national park. The rock formation overlooking the canyon is practically the central point. 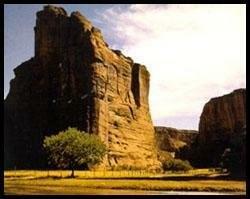 It is the Spider Rock with a high column of 755 feet. On your return from this scenic route (Indian Route 64) you will discover some Indian Canyon Pueblo dwellings kindly housed in the cliffs (or cliff dwellings) from the height. 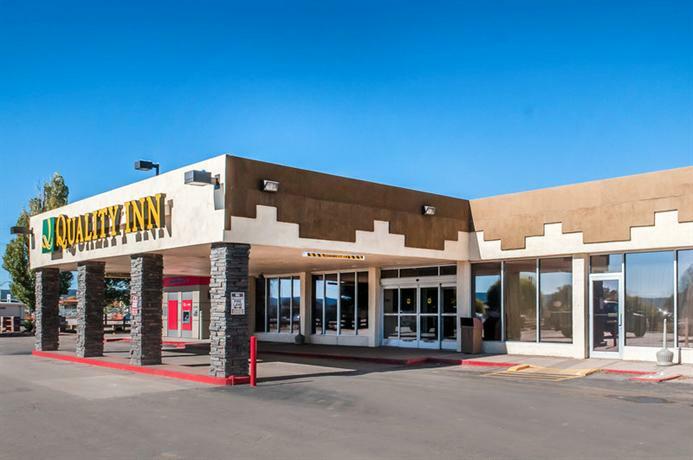 There are four historical landmarks and views along this road. However, you need to be careful, if you want to see petroglyphs and pictographs; a pair of very good binoculars is needed for clear views. Canyon del Muerto (Canyon Death) was so named in 1882 when an archaeological expedition of the Smithsonian Institution, led by James Stevenson, discovered the remains of prehistoric Indian burials in the canyon. Ledge Ruin overlooks the magnificent views from which you can see a village built 900 years ago by the ancient Pueblos. These structures are used for housing but also for the storage of food. These ruins are named after the discovery of pictograms antelope, painted by the artist who lived in Dibe Yazhi during the early 19th century. The village itself dates back to the 12th century. 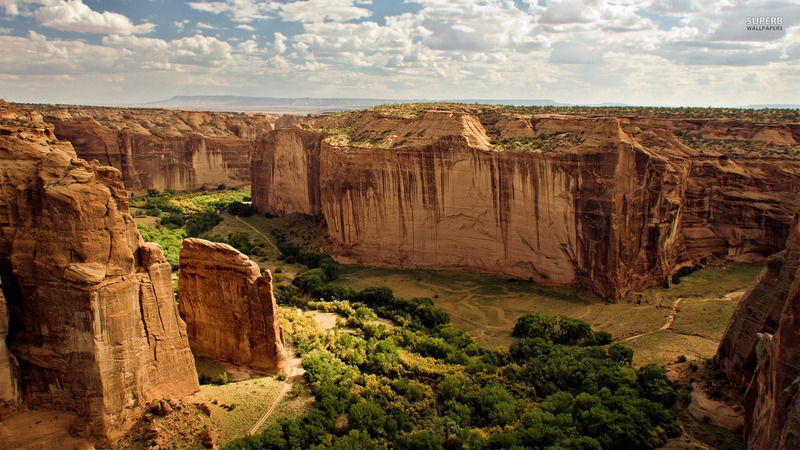 This is one of the largest villages in the Canyon de Chelly. The village was inhabited in 1300. As for the tower, migrant Indians built it around 1280 from Mesa Verde. These ruins are named for two prehistoric graves discovered here in 1882; Navajos call this town “Tseyaa Kini” (home under the rock). This view owes its name to the sad 115 Navajo Indians massacred here in the winter of 1805 by a Spanish military expedition. 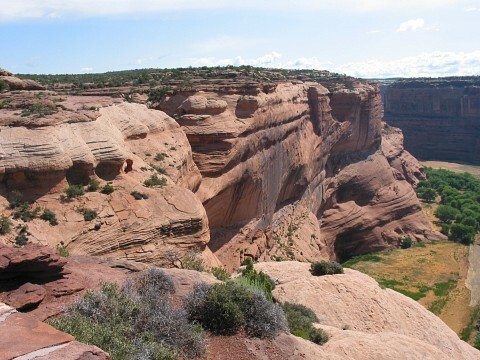 This other scenic route (Indian Route 7) of 38 miles offers not only the spectacular perspectives of Canyon de Chelly, but also includes its surroundings. 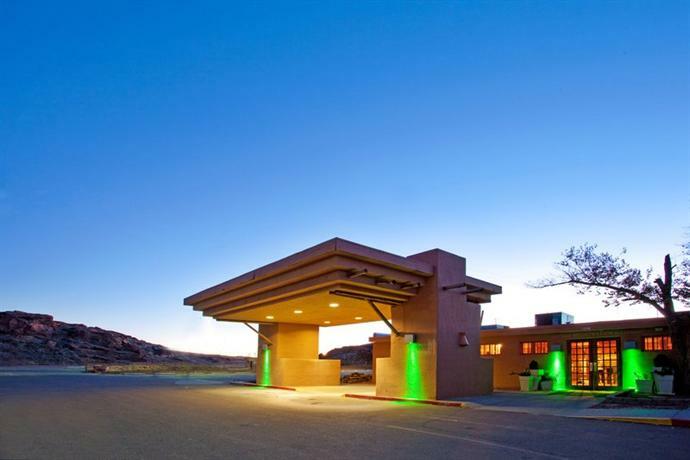 The starting point at the visitor center is located at 5,479 feet altitude. After 18 miles covered in the first leg, you have a breathtaking view of the famous Spider Rock that you can reach at 6,890 feet. 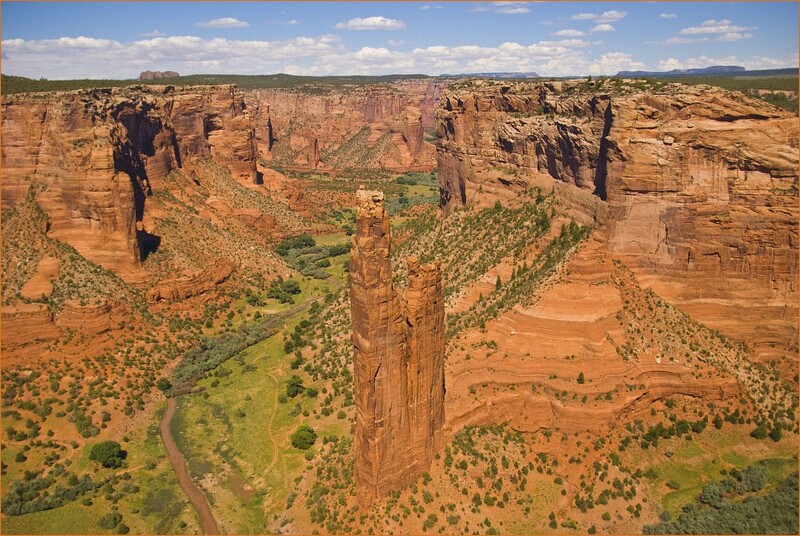 Giant sandstone (820 feet high), the two long needles of Spider Rock symbolizes all the Navajo culture alone and especially the sanctity Canyon de Chelly. Indeed, the monument is named after one of the great deities of the tribe Dineh, Spider Woman. It was believed that the Spider Woman Goddess is causing the world. She lived at the top of Spider Rock and has since the beginning of time, always supported and helped the Navajos. The White House Trail is the only authorized, unaccompanied hike that leads down into the canyon. The walk has no major problems and takes only two hours round-trip. However, think about having water in sufficient quantity as the recovery is more difficult when the weather is sunny. The starting point is located in the White House Overlook. This trail will lead you closer to the ruins of the White House (White House). Pueblo village was occupied around 1000 AD. The ruins are named after the white coating used on one wall of the upper housing. 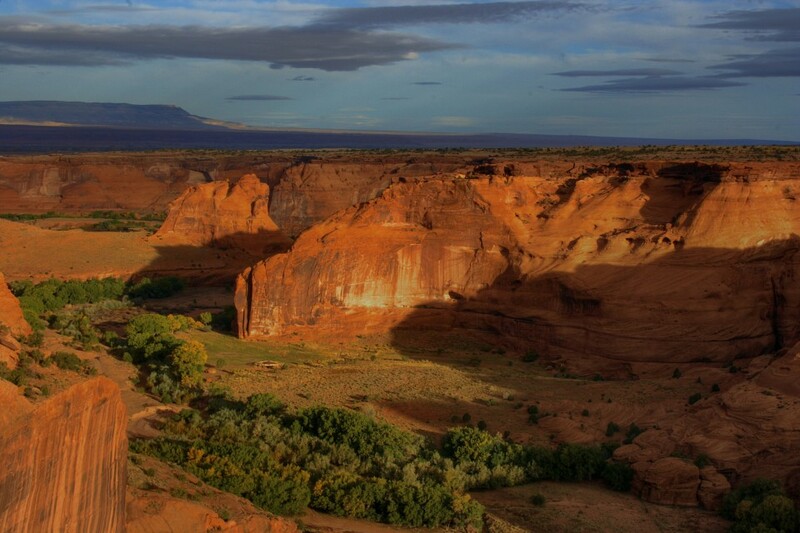 Canyon de Chelly is open all year-round. Spring is the ideal season to visit (especially hiking) because it is neither too cold nor too hot. In autumn and winter, there is often snow. 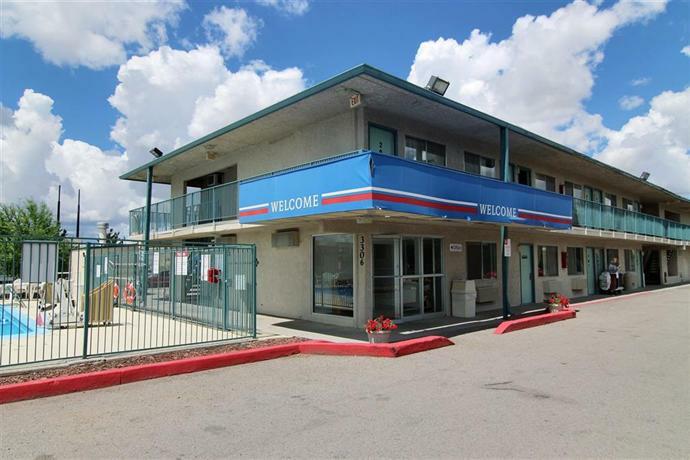 In summers, it is hot, but the high altitude makes the temperatures bearable!